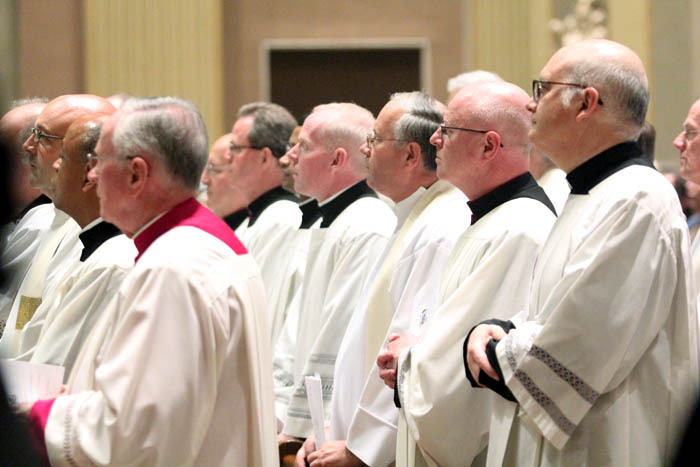 Archdiocesan priest friends pray with Bishop Thomas and the congregation. 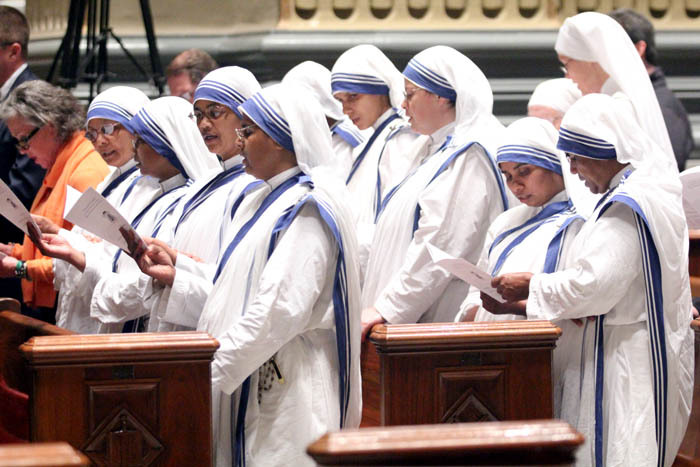 Members of the Missionaries of Charity pray during the Oct. 1 liturgy. 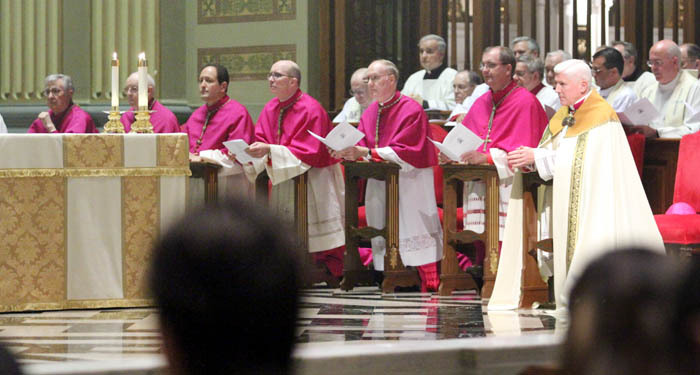 Bishop Thomas is joined in the cathedral sanctuary by fellow auxiliary bishops of Philadelphia and other clergy. 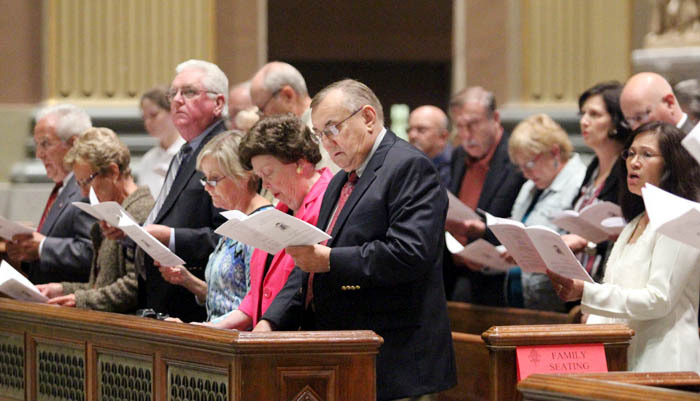 The faithful in the congregation sing during the liturgy, the sacred music for which was led by the Archdiocesan Choir of Philadelphia. 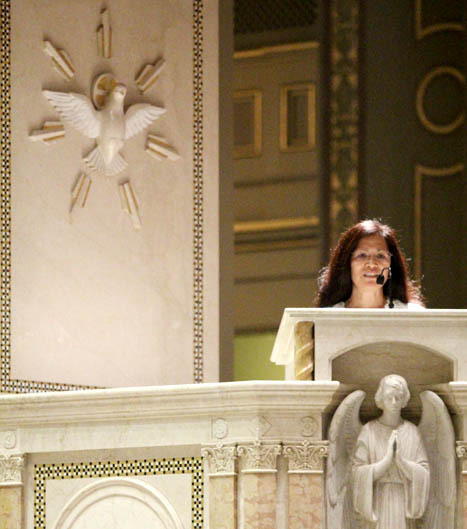 Theresa Grato, administrative assistant for Bishop Thomas, proclaims the first reading of the liturgy. Bishop Thomas preaches the Gospel in the cathedral. 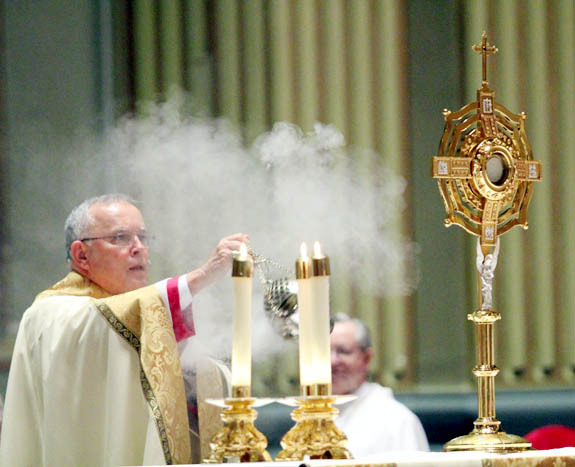 Archbishop Chaput, who presided at the evening prayer liturgy, incenses the monstrance with the Most Blessed Sacrament before benediction. 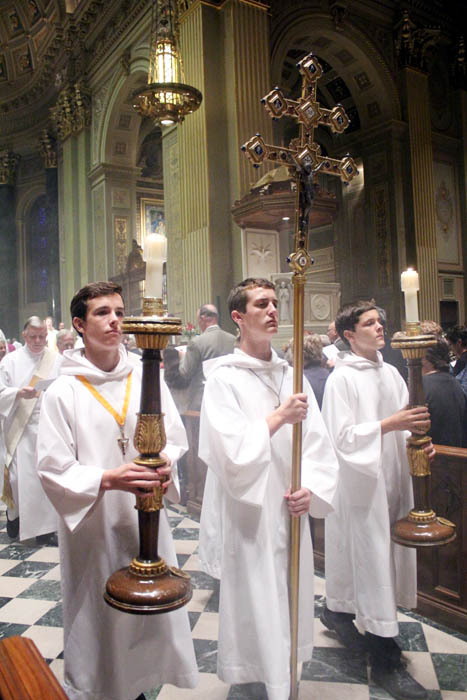 Altar servers for the liturgy included these young men from Our Lady of Good Counsel Parish, Southampton. 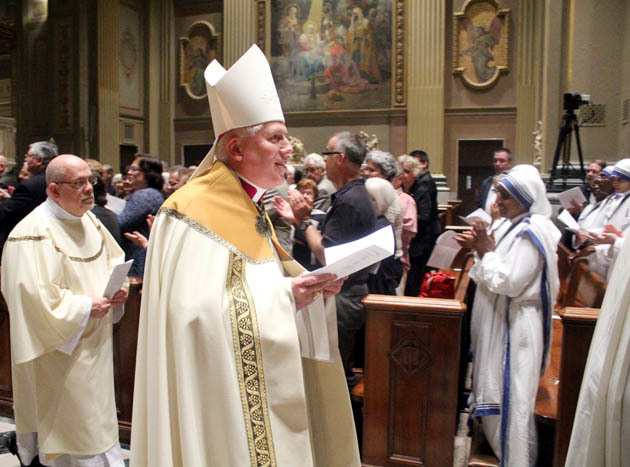 Bishop Daniel Thomas departs the Cathedral Basilica of SS. 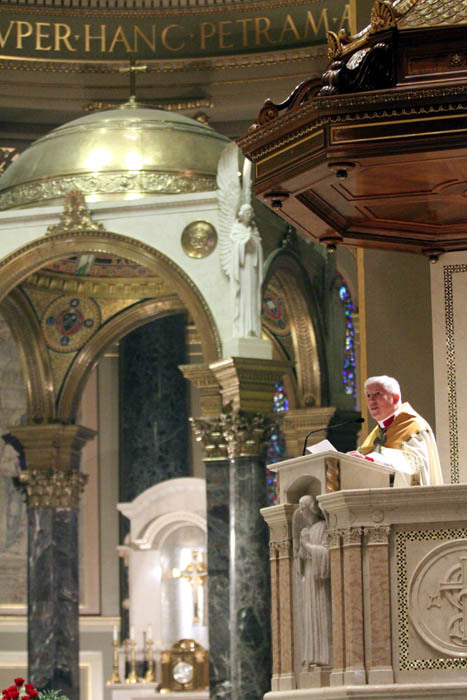 Peter and Paul in Philadelphia amid the singing and applause of friends after an evening prayer liturgy Oct. 1. 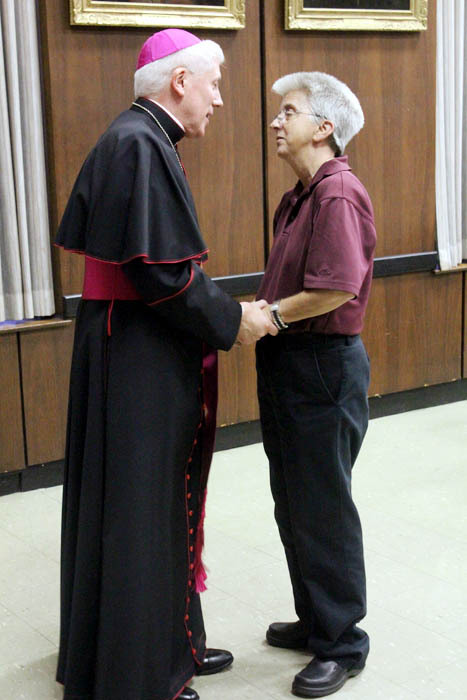 Denise Antonini of Our Lady of the Assumption Parish, Strafford, greets the bishop. 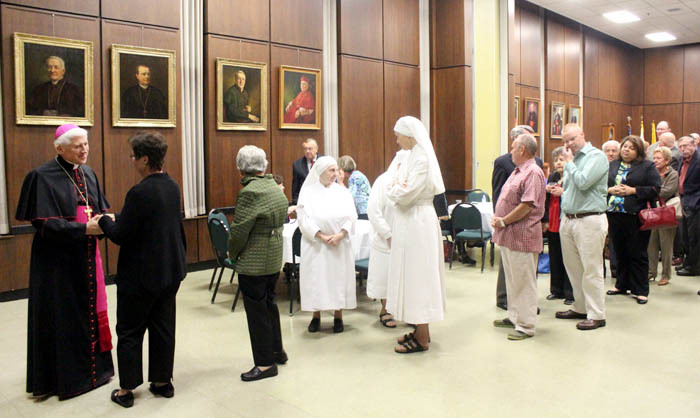 Bishop Thomas greets a long line of well-wishers at the reception after evening prayer.